On a gorgeous Saturday morning, April 26th, TIA held its 2nd annual Tampa International Airport 5K Runway Fun Run . 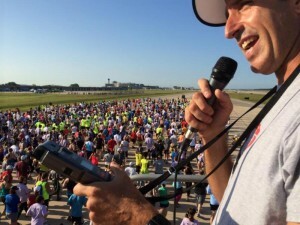 A maximum capacity of 1,500 participants (more than doubling last year’s crowd) had the opportunity to experience the smooth surface of Runway 1L/19R. All ages and levels of experience piloted their way down the massive runway normally used exclusively by jet airplanes, putting new meaning in the word “runway.” Through registrations, sponsorships, and raffles, nearly $60,000 was raised to benefit the United Way Suncoast educational programs that give children the skills to succeed and help adults achieve long term financial stability to break the cycle of generational poverty. Now that’s what we call a smooth landing!